It’s one of our all-time favorite recipes — and today, I’m sharing a simpler version of almost the exact same recipe. Today, I’m sharing some of MY favorite holiday posts — clutter-free gift ideas, our holiday cards, tips to simplify and enjoy these busy times of year, and more! Can you believe Simon is 3 weeks old today! As promised, I’m going to share Simon’s birth story today. Thankfully, it’s nothing crazy or super eventful — just a pretty normal (and pretty quick) labor and delivery. 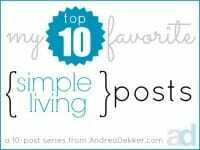 Today, I’m sharing some of MY favorite simple-living posts — you know, all those tips, tricks, ideas, and concepts that have helped me to live more simply! 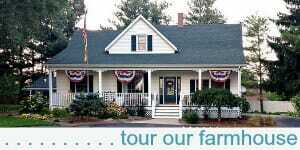 Today I’m sharing a guest post from Crystal Paine of Money Saving Mom. 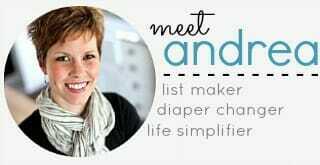 I know many of you follow her blog… and since I’ve worked with Crystal for over 2 years now, I can attest to the fact that she is a time management GURU! 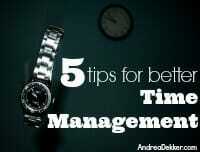 If you’re struggling with time management, this post is for you! Today, I’m sharing some of MY favorite frugal-living posts — all about saving, spending, budgeting… and of course, Craigslist! As I was planning ahead for when Nora would come visit Simon and me in the hospital, I realized she wouldn’t last 10 minutes without going stir-crazy in that hospital room. 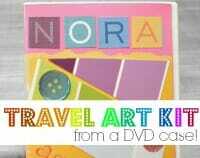 Thankfully, I found a really neat idea on Pinterest for a travel art kit made out of an old DVD case. She LOVES it!! 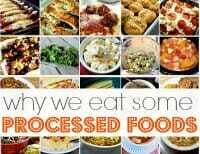 As I clearly state on My Recipes Page, it’s not my goal to live without any processed or convenient foods. 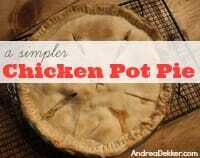 And it’s not my goal to make everything my family eats 100% from scratch. Today I’m sharing a bit more about our “everything in moderation” food philosophy and why I think we’re actually better off because of it! Today, I’m sharing some of MY favorite organizing posts — there were so many to choose from, I just HAD to include a few extras! Thanks so much for all your support after the birth of baby Simon. We were so excited to FINALLY share his birth announcement (and his name) with all of you! 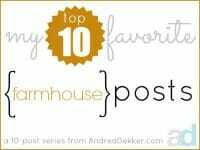 Today, I’m sharing some of MY favorite farmhouse posts — all about our home renovations, landscape design, and my sheer love for all things farmhouse! Before I had kids, I NEVER EVER expected to be a stay-at-home-mom — I was positive I would work outside the home and send our kids to daycare. Obviously, that didn’t happen. 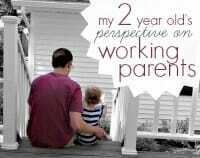 This post was sparked by a recent conversation with my 2-year old… I was literally shocked by her young thought process! Today, I’m sharing some of MY favorite recipe posts — desserts, soups, breakfasts, main dishes, and more! 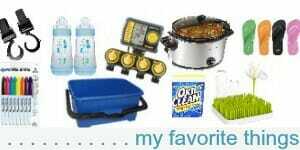 Free Pampers Diapers and Wipes for a Month! 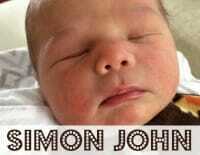 Yay, baby Simon is here! 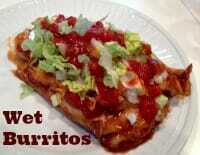 Last week, I tried a new Wet Burrito recipe for dinner — and Dave and I BOTH gave it 2 thumbs up. I was also thrilled that I was able to simplify the original recipe to make it more “family friendly” for my blog — today, I’m sharing that simplified recipe! 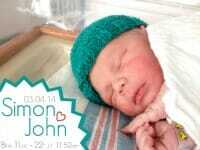 Welcome to the World, Simon John! Dave, Nora, and I are ecstatic to introduce you to the newest member of the Dekker family… Simon John! Recently, I’ve been noticing a lot of chatter about “sleep training” in my social media feeds — and while I honestly have nothing against sleep training, I know for a fact that it doesn’t work for everyone — even if you follow every single rule in those books. 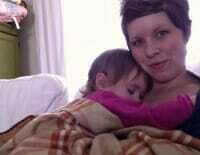 If you’re a frustrated, sleep-deprived parent, you’ll want to read this post!